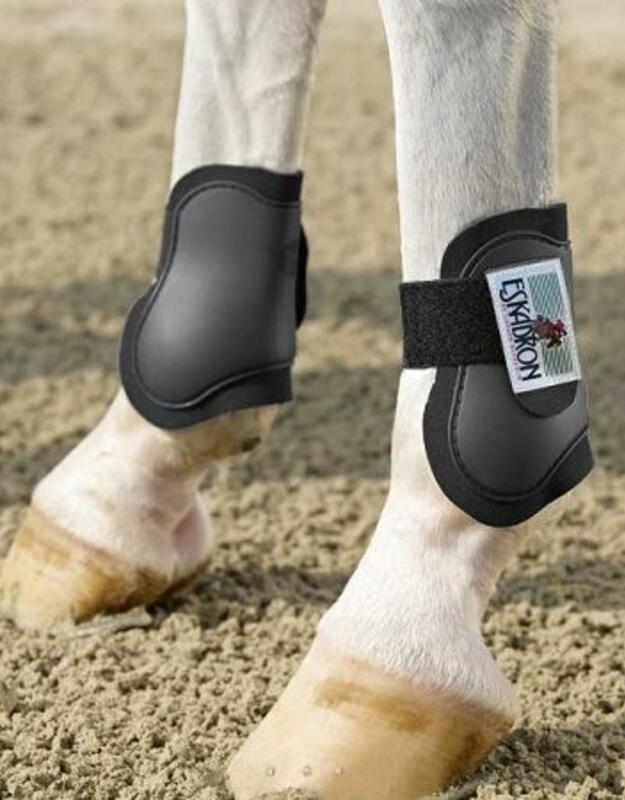 Open short hind leg boots. Optimum protection by means of anatomically adapted hard TPE shell with practical, easy-to-use elasticated hook and loop fastener fastening. Neopren lining. Size: cob/full - one size.